Once you have your design finished and constructed your modules it is time for deployment. 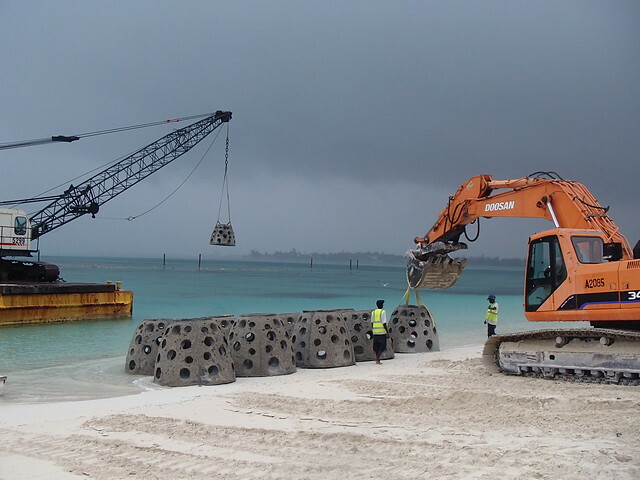 Reef Innovations has engineered a number of techniques for deployment of the artificial reef materials/modules. 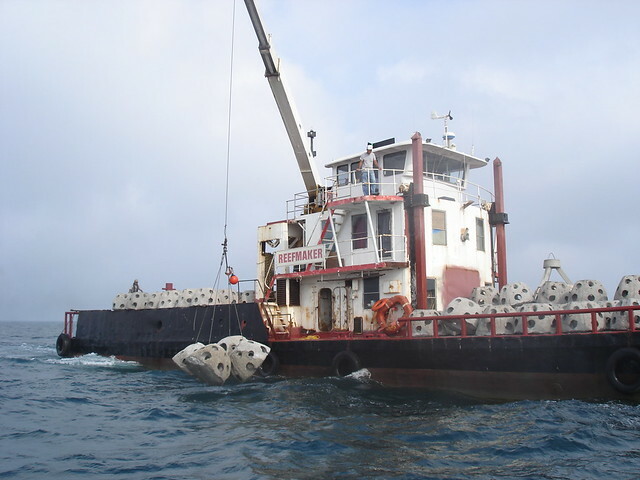 Knowing how you reef will be arranged is important for scientific research, we strive to keep the finished project in line with the planned placement. Shallow water placement is possible with a low draft pontoon boat that has fold down extended deck. 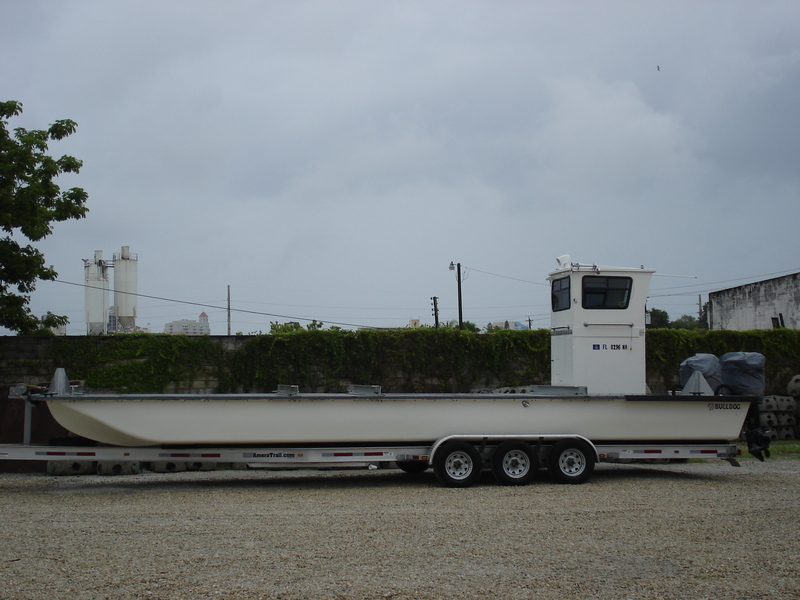 Or we can contract and coordinate the use of multiple large barges. 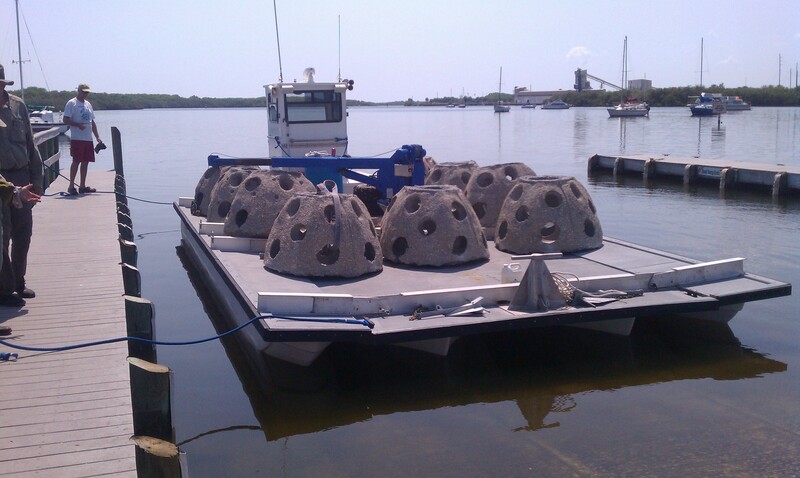 Reef Innovations Near Shore, barge with side pontoons, maneuvers into shallow water. We can deploy from shore with a relay system. Local companies are often used for the deployment. 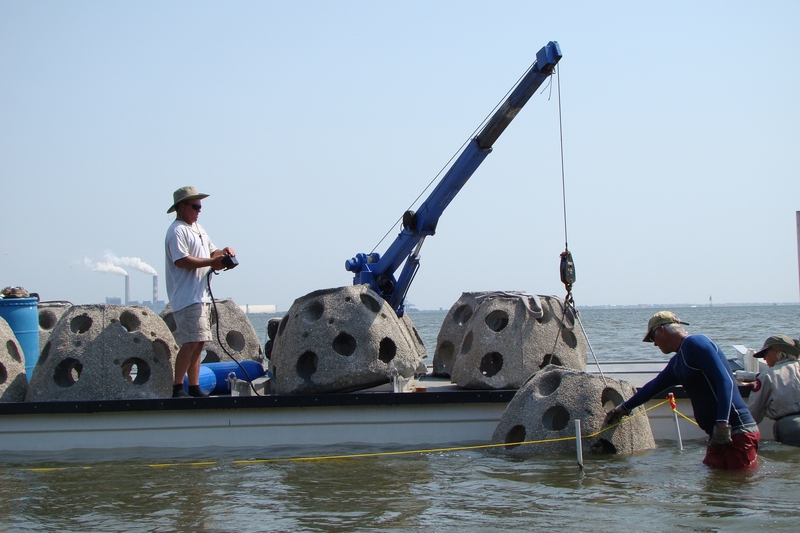 Getting wet and using true manpower to place Reef Balls is a great choice in shallow shoreline applications. 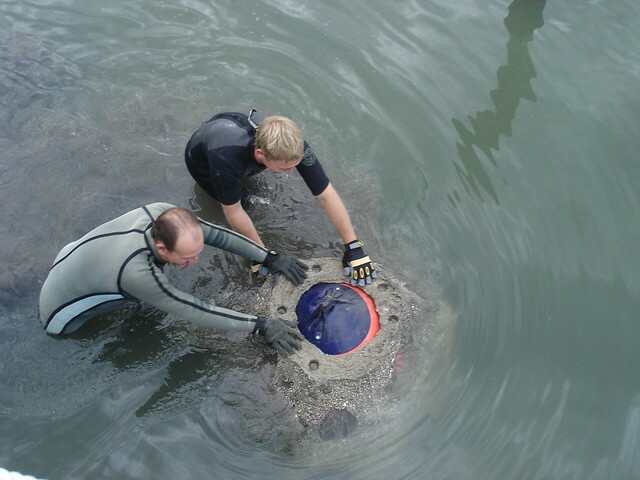 By inflating the internal bladder the Reef Ball can be floated to the exact spot of location. 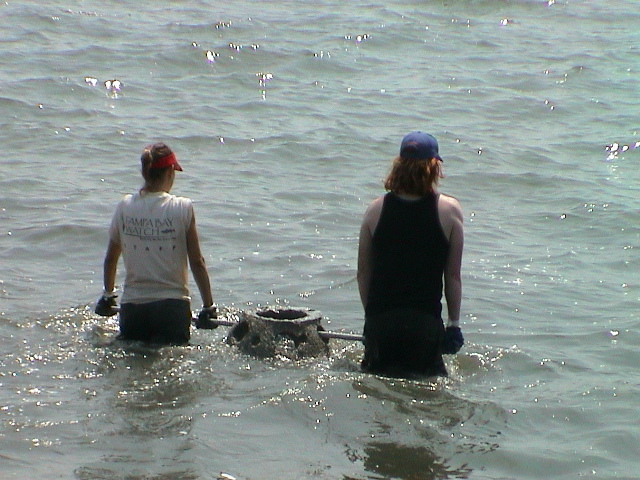 A small boat can tow the Reef Ball with an inflated bladder.